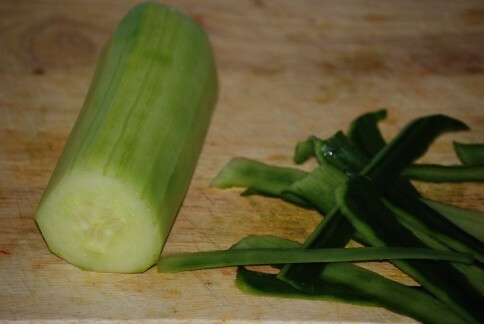 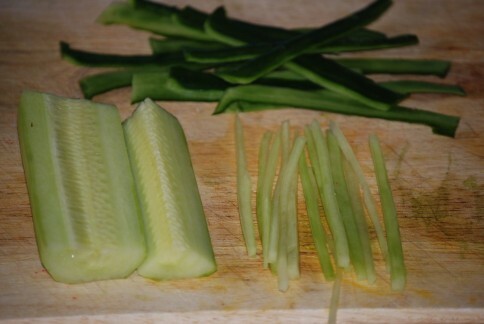 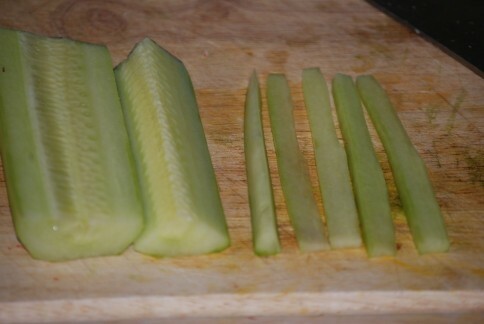 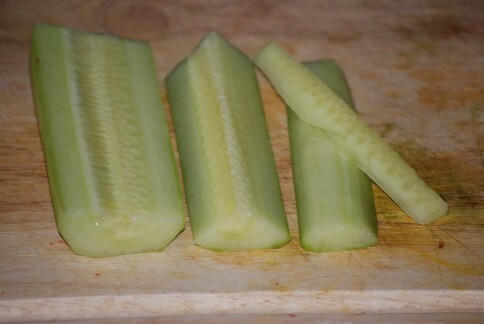 -Chop it into 4 pieces slowly slice the seeds off. 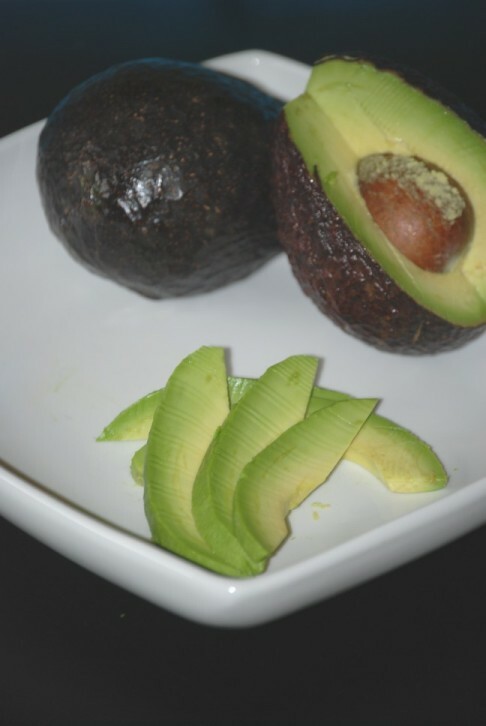 - Cut the avocado and slice it into 2-3 millimeter thin. 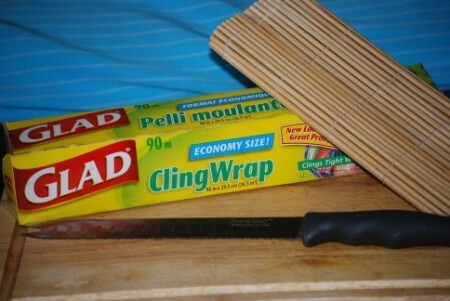 Now we're ready to make a roll. 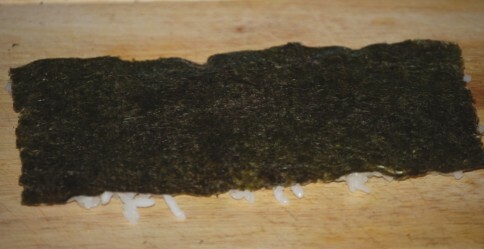 - Cut dried seaweed into half. 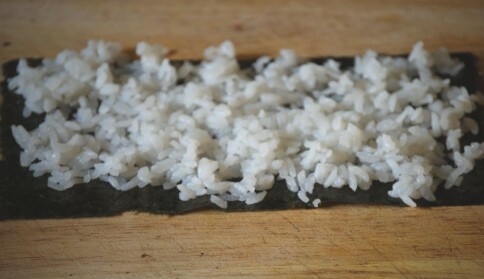 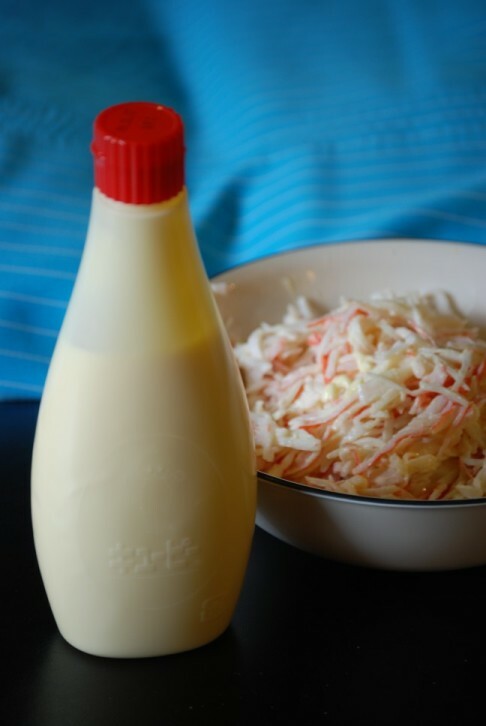 - Grab a handful of rice and added on top of the seaweed. 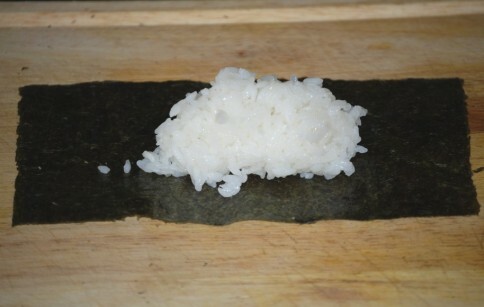 -Slowly spread sushi rice all over the seaweed. 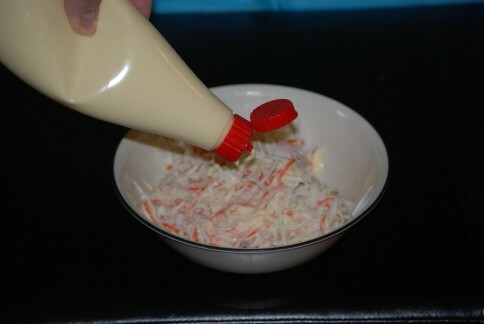 - Next flip it upside down. 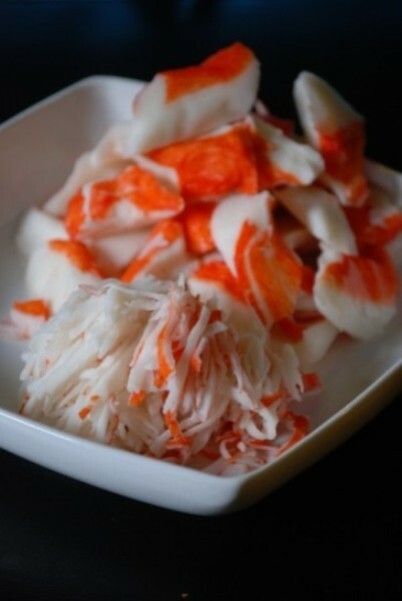 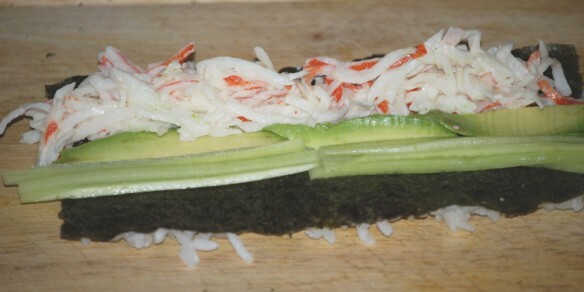 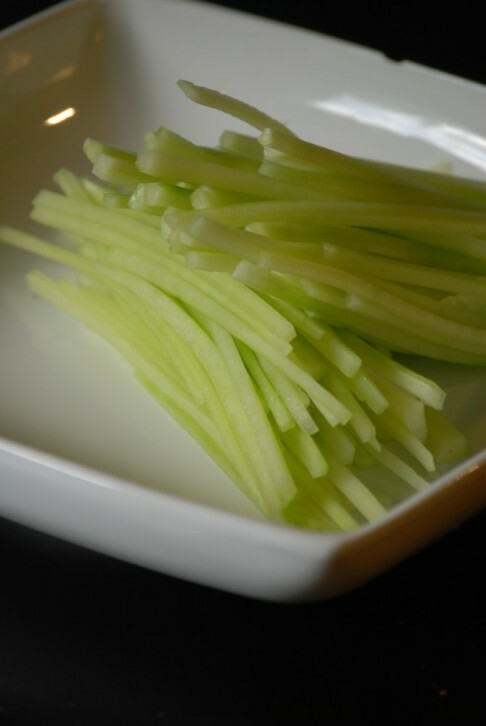 -Place 10-12 strips of cucumber, 2-3 pieces of Avocado and Mixed imitation crab. 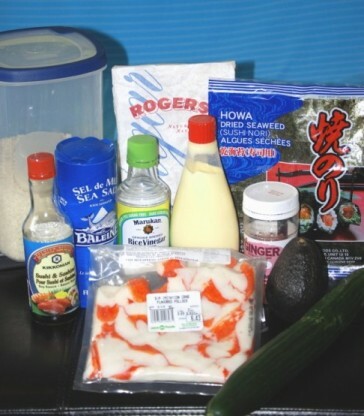 Reply to "California Roll for Sushi Lover"